A woman who died Tuesday after an engine on a Southwest Airlines flight apparently exploded mid-flight has been identified and described as a "remarkable" woman. Jennifer Riordan, of Albuquerque, New Mexico, was a mother of two and a Wells Fargo bank executive. She was taken to a Pennsylvania hospital in critical condition after Flight 1380 made an emergency landing at Philadelphia International Airport around 11:20 a.m.
Riordan worked as a vice president of community relations for Wells Fargo, and was a graduate of the University of New Mexico. Her death was confirmed by her family Tuesday. "Jennifer&apos;s vibrancy, passion and love infused our community and reached across our country. Her impact on everything and everyone she touched can never be fully measured," the statement, published by WFAA-TV, read. She was further described as "the bedrock of our family." A close friend of Riordan told KOB that the mother of two, who was married to Michael Riordan, who served until recently as the chief operating officer for the city of Albuquerque, "never forgot the [New Mexico Broadcasters Association] and supported the foundation however she could." The friend added that "Jennifer was a remarkable mother and part of the NMBA family." The Mayor of Albuequerque, Tim Keller, said in a statement that Riordan was a "thoughtful leader who has long been a part of the fabric of our community." Riordan&apos;s death was the first passenger fatality on a U.S. airline since 2009, and the first-ever for Southwest Airlines, according to company CEO Gary Kelly. Meantime, the Southwest Airlines pilot who called for emergency services to be prepared on scene upon the plane&apos;s landing is being hailed as a "hero" for successfully landing the plane without more passengers being injured. "Pilot Tammie Jo Shults and her crew are heroes," wrote Texas Attorney General Ken Paxton. 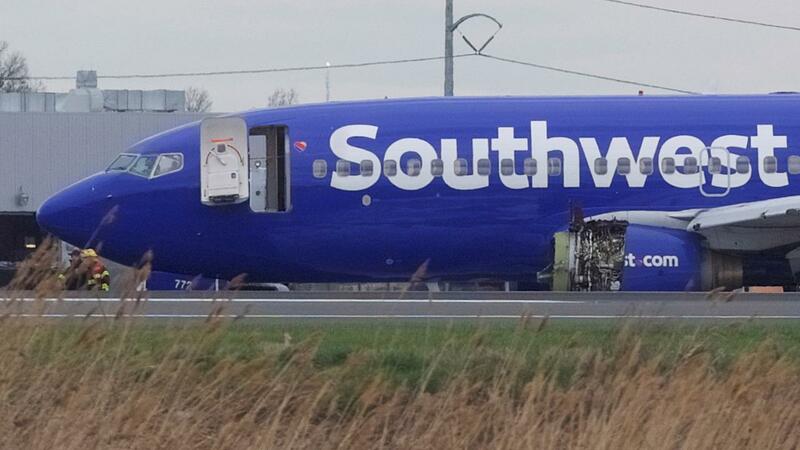 Schults and the five crewmembers aboard the 144-passenger flight "managed to land @SouthwestAir #Flight1380 (bound for Dallas) and prevent further casualties," Paxton said. Schults, according to her alma mater MidAmerica Nazarene University, was one of the first female fighter pilots for the U.S. Navy. CEO Kelly said Tuesday that Schults and the flight crew "handled the situation magnificently" and "did their jobs superbly." While he didn&apos;t identify any of the five crewmembers, Kelly said the captain was "very experienced" and started at the airline in 1994. Joe Marcus joins 'The Story' to describe the in-flight emergency on Flight 1830. The Boeing 737 was flying from New York&apos;s LaGuardia Airport to Dallas&apos; Love Field Tuesday when it made the emergency landing on the runway of Philadelphia International Airport. The emergency landing came after the crew reported damage to one of the engines, the fuselage and at least one window, the Federal Aviation Administration said. 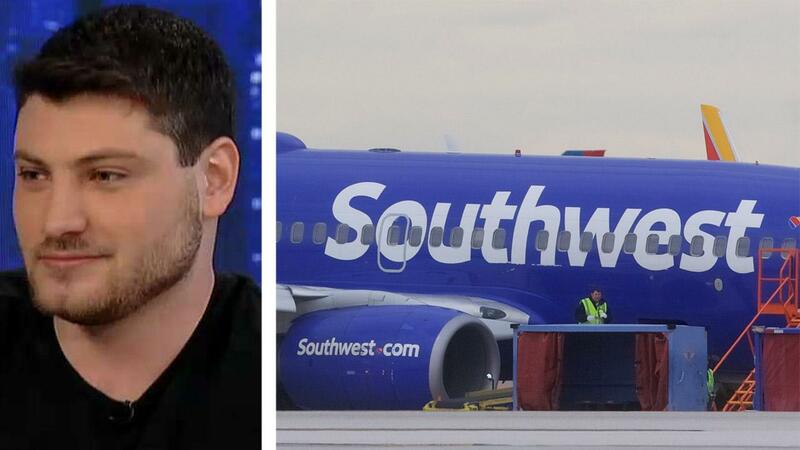 Joe Marcus, a passenger on Flight 1380, told Fox News&apos; Martha MacCallum on "The Story" Tuesday night that as the incident unfolded, he heard a "big boom," and when he looked to his left, saw the engine was "totally black." Marcus, largely calm in the situation, said that although it "felt like we were just falling from the sky," he "tried to stay positive" as others on the plane panicked. The passenger said he was trying to purchase WiFi on the airplane to contact loved ones, as so many others on the plane were trying to do in what they believed could&apos;ve been their last moments, but noted that as soon as he saw the runway, he knew they were in the clear. "When [the plane] hit the ground, I felt like I hit the lottery," Marcus said. Marcus reiterated CEO Kelly&apos;s remarks about the flight crew, detailing that the flight attendants were helpful in the chaotic situation, and that it was "unbelievable how [Pilot Schults] turned it around."